Smita Chakraburtty is an independent researcher studying prison systems across the country. Presently, she is the Honorary Prison Commissioner to study the Open Prison Systems of Rajasthan. 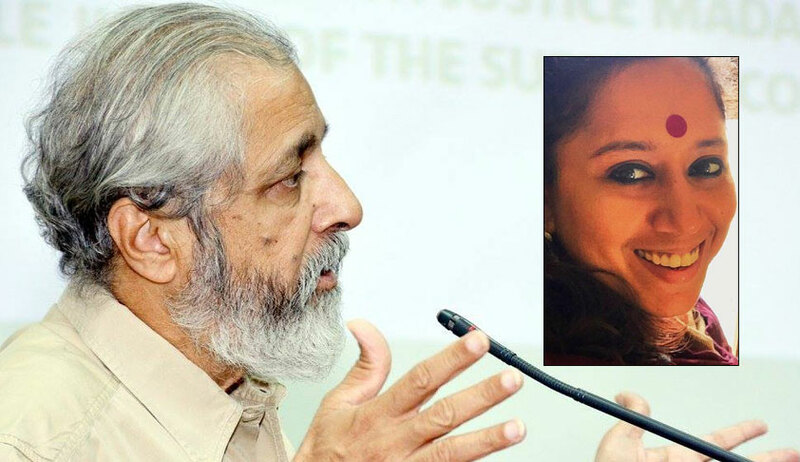 In this interview with Live Law, she answers specific questions on the recent judgment of the Supreme Court, delivered on September 15 by Justices Madan B.Lokur and Deepak Gupta on prison reforms. LIVE LAW: What is the significance of the Supreme Court’s judgment in Re: Inhuman Conditions in 1382 Prisons, delivered on September 15 by Justices Madan B. Lokur and Deepak Gupta? How is it different from the earlier ones? SMITA CHAKRABURTTY: There are two take-aways from this judgement- compensation for death in custody and the courts’ encouragement to the open prison system. However, there are several more layers to the judgement. It is significant because it has brought back attention on the issue of custodial violence, custodial deaths and addressed the problem directly leaving nothing to ambiguity. The judgement primarily reasserts that the constitutional rights of the prisoner do not stand eclipsed under imprisonment and clamps down on the authorities for its failure in addressing the issues of custodial violence and custodial deaths. The judgement reminds the state that custodial death (natural or unnatural) is itself a crime and critiques the dehumanization involved in narrating custodial deaths through elaborate statistics, when in reality year after year no change is observed on ground. The judgement recognises the prisoner who died an unnatural death in custody as the victim and emphasizes the need for compensation, an argument that has long remained in the back burners. It was asserted that “Merely changing the nomenclature of prisons to ‘Correction Homes’ will not resolve the problem.” The judgement also attempts to break through the inherent institutional opacity of the prison system of the country by encouraging prison visits by members of the civil society and re-establishing prisoners right to visitors. It has instructed the states to formulate its prison visitors list by the end of November 2017. Open prisons are prisons without bars or walls. It is a trust-based system built on the principle of self governance and is rehabilitative in nature. If this system is encouraged and expanded across the country, then it has the potential to not only change the prison system of the country but also have a significant impact on crime, recidivism and eventually help eradicate retributive form of punishment. LIVE LAW: The question of unnatural deaths in prisons has been attributed by Justice Lokur to the retributive theory of punishment, being practised in the jails. He has contrasted it with the reformative theory, which is practised outside the jails, for instance in the compliance with the guideline on doing away with handcuffs etc. If so, how the slew of directions will help to change the mindset, within the prisons in favour of the reformative theory? SMITA CHAKRABURTTY: Prison is a taboo and harrowing prison conditions are justified as social justice. The society interprets punishment as justice. Retribution is a popular form of punishment and the respective State Governments endorse this populist standpoint. That is why though prison is a state subject, no State Government has prison reform as a priority. At this reluctance of state governments towards improving prison conditions the court has maintained “While this may be so, we are clearly of the view that Article 21 of the Constitution cannot be put on the back burner and as mentioned in the Mandela Rules even prisoners are entitled to live a life of dignity. Therefore, no State Government can shirk its duties and responsibilities for providing better facilities to prisoners.” With this stance the court has put the onus of prison reform on the government itself. The court has also ordered compensation for custodial deaths. However, the above slew of directions may make it obligatory for the states to move towards improving prison conditions but the change in mindset can only happen through the order which speaks of training of prison staff and has encouraged open prison system. Given the existing prison system, prisons are not only high security zones but they are also high tension zones. The rate of recidivism is high and security costs are astronomical. But if the governments seriously expand the open prisons then it will not only attribute to lowering the rate of recidivism through implementation of the reformative theory. But open prisons will also help the government save a lot of money. Open prisons are way less expensive in comparison to closed prisons thus posing positive respite to the exchequer. LIVE LAW: Your inspection of Bihar prisons has been duly recognised in the judgment. How far the judgment can help to institutionalise the prison visits by representatives of civil society? SMITA CHAKRABURTTY: There are two aspects to the concept of prison visit as acknowledged by the SC. One is the setting up of Board of Prison visitors, so that members of the society can visit prisons and be a part of the the process of prison reforms. Another aspect to the prison visit is the SC acknowledgement of the Bihar Prison inspections. The Bihar prison inspection was a one of kind initiative. I visited all the 58 prisons of the state with the intention of meeting and interacting one on one i.e. face to face with each and every prisoner to hear them out. At the end of the inspections I had interacted with 30070 prisoners (on record). Bihar State Legal Services Authority-BSLSA gave me unhindered access to the prisons and the prisoners by commissioning me to do pointed inspections. The then Executive Chairman of BSLSA, Justice V N Sinha facilitated the prison inspections. The problem is prisoners do not see legal aid as a right but rather interpret it as a favour. They hesitate approaching Legal Aid institution and most prisoners are also not aware of the kind of legal services they can ask for. So instead of putting the onus of asking for legal aid on the inmates the exercise of visiting all the 58 prisons was initiated, so that the institution of legal services reaches out to every individual confined behind bars. The inspection was based on the principle of Access to Justice of the prisoners. With the Supreme Court acknowledging the Bihar prison inspections and asking Legal Services Authorities of other states to urgently initiate similar inspections the SC has upheld the principle of access to justice. I am hopeful that what started in Bihar as a one-off exercise will now get regularised and similar prison visits will be done in every state of the country. LIVE LAW: During the hearing the AG told the Court that it should issue separate directions to each State rather than omnibus directions, to ensure compliance by States. But the Court has apparently not agreed with the AG on this. Your comments. SMITA CHAKRABURTTY: I have a mixed response on the matter. I agree at a tactical level with the AG when he says that the court should pass separate directions to each state because prison is under states’ domain and every state has a different set of prison rules and definitely different kind of prison budget. So it would be more effective if the SC addressed every state individually. However, it is also correct that the SC did not address each state individually because the respective High Courts are there to do that. So I feel the SC was right in requesting the HC to initiate suo-motu PIL’s on prison reforms, the order is actually more effective that way. LIVE LAW: Are you hopeful that the States will comply with the directives in the judgment, and pave the way for humane prisons in our country? This is an ongoing judgement; thus it is dynamic in nature. It has been effective in bringing about systemic changes and institutionalising change. For instance, the matter of Section 436A Cr. P.C. or drafting the New Model Prison Manual 2016, purely because it is not a one time judgement. It is rather a series of interim orders which were asked to be complied with, within a given time frame. The present order also has set up certain time limits for compliance. Moreover, since this time the SC has also got the respective High Courts involved in the judgment I am hopeful that even if not willingly or proactively the respective state governments will be compelled to comply with the orders.